The maximum effect will be achieved for websites with a large amount of static content (such as photo galleries, video streaming sites, and so on). The efficiency of serving visitors who have a slow connection speed (GPRS, EDGE, 3G, and so on) improves. For example, a client with a 10 KB/s connection requests a PHP script, which generates a 100 KB response. 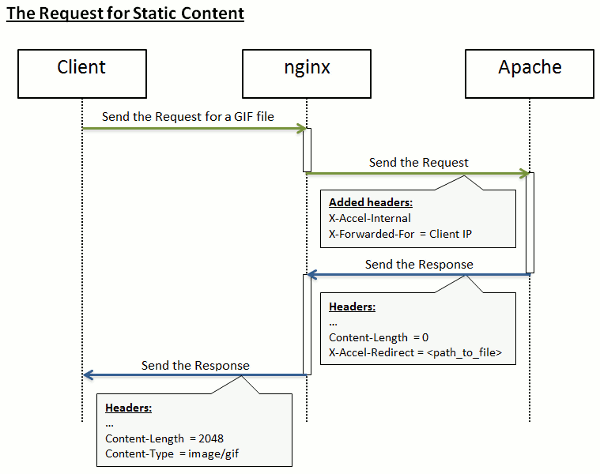 If there is no nginx on the server, the response is delivered by Apache. 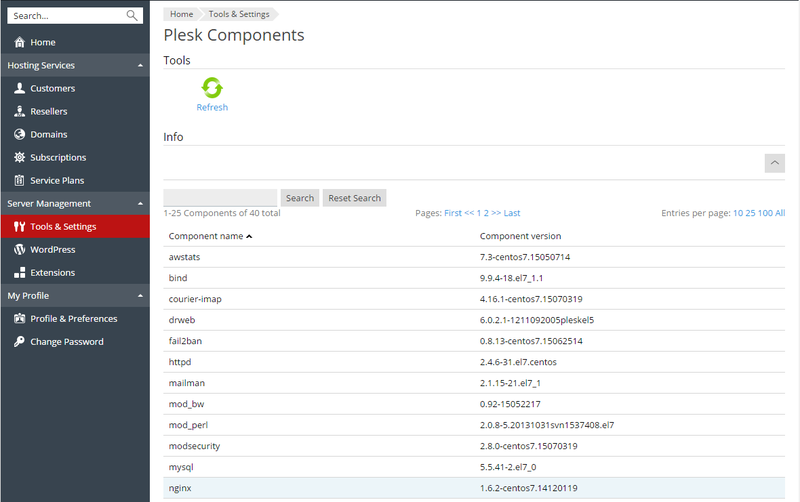 During the 10 seconds required to deliver the response, Apache and PHP continue to consume full system resources for this open connection. If nginx is installed, Apache forwards the response to nginx (the nginx-to-Apache connection is very fast as both of them are located on the same server) and releases system resources. As nginx has a smaller memory footprint, the overall load on the system decreases. If you have a large number of such slow connections, use of nginx will significantly improve website performance. This module sets up a handler which runs after handlers of all other Apache modules (mod_rewrite, .htaccess related modules, mod_php, and so on). Therefore, if the request is for dynamic content, mod_aclr2 will never get it as the request will be served by upper-level handlers of certain Apache modules (mod_php, mod_perl, mod_cgi, and so on). The only exceptions are SSI requests: once they reach mod_aclr2, it redirects them to proper handlers. If the request is for a static file, mod_aclr2 searches for the exact file location on the file system and sends the location to nginx. From the point of view of Apache, all of its clients have the same IP address - the address of the nginx server (see the diagram above). This causes problems for websites and web apps that use client IP addresses for authentication, statistic purposes, and so on. mod_rpaf (in Apache 2.2) or mod_remoteip (in Apache 2.4) solves the problem by replacing the IP address of the nginx server in all requests with client IP addresses. In more detail, the module uses the special X-Forwarded-For header in which nginx puts the IP address of a client. Apache receives the request and starts to process it by registered handlers (applies .htaccess configuration, rewrites URL, and so on). In this step, mod_rpaf replaces the IP address of the nginx server in the REMOTE_ADDR Apache variable with the client's address from the X-Forwarded-For header.